V6II senses pins for brand specific flash/trigger even when manually set to another flash option. I posted a lot of information regarding my experience with the V6II, Fuji X, and Godox flashes in the compatibility thread. I believe I have discovered the source of the compatibility issue between the V6II and the multi-pin Godox triggers in forced HSS, so I'm posting it here separately for the sake of clarity. The V6II is sensing the additional pins of the X1TC and XT32C transmitters, and presumably, using the Canon flash profile even when set to Nikon or Manual. I discovered this by setting the X1T to "single pin mode" and observed that the V6II still identified it as a Canon flash. When set to single pin mode, the combination of the X1T and V6II still will not fire in forced HSS. I then proceeded to cover all but the single center pin of the trigger with tape and retest. With the additional pins taped and the flash mode on the V6II set to Nikon, powersync fires and functions at all speeds. I repeated the test with the XT32C and had the same positive result. This seems like something that could be solved with firmware, so I am hopeful we'll have full use of the full Godox trigger line soon. Thanks! Or you could manually select manual flash on the V6 II TX? Would that work? Manual flash mode does not fire in HSS with any of the Godox triggers (and Fuji X camera). I have only been able to HSS in Nikon flash mode. I still need to retry with the new firmware though. -X1T set to "single pin mode", and with all pins exposed (no tape), fires in HSS and works with the built- in receiver of the AD600 for full power adjustment! 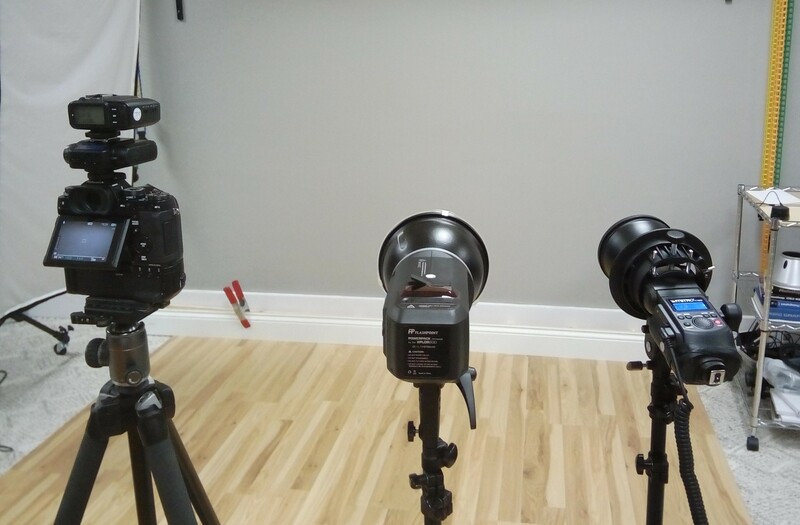 Yes I think Power Sync does not apply with any strobes, so long they are not "multiple hot shoe pin connected" to the V6 II RX unit. V6 II essentially acts as a pre-flash "catcher", then the signal gets passed along to the Strobe Transmitter and they do their own thing with the strobe - asking it to fire at HSS mode when required. Just to confirm, the remote power adjustment big is between Godox own trigger and strobe right? Correct! This is just using one V6II between the camera and Godox trigger to allow HSS.